Sun, sand, swimming. What’s not to love about a day at the beach? Well, maybe figuring out what to wear. Finding the right suit for your shape can be a battle, but it’s one all the more worth winning. 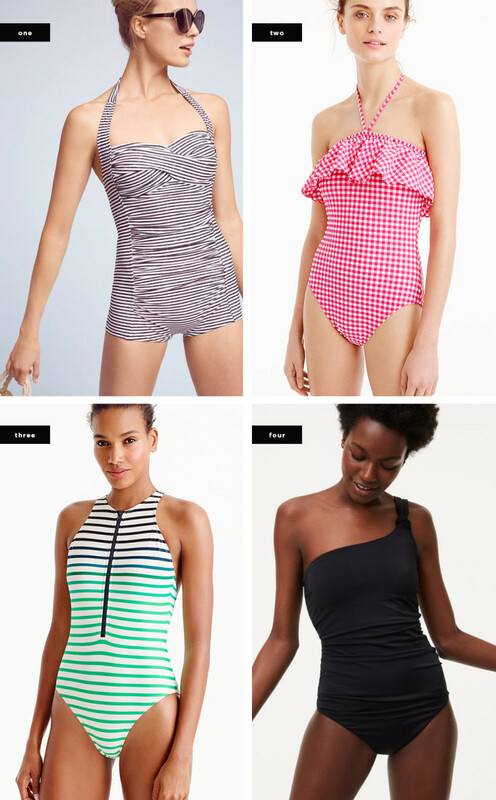 As fans of the classic one-piece, we’ve narrowed down the best styles for each body shape. 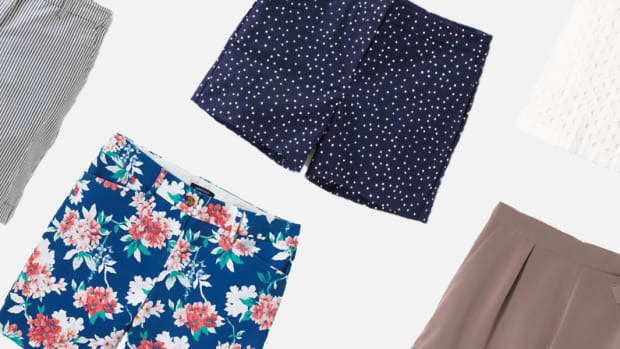 Whether you’re hitting the beach or pool this summer, jump right in with confidence in these suits. An apple shape carries most of her weight in her stomach and bust and typically has wider shoulders than hips. The biggest concern for most apple shapes is finding suits with enough bust support. Forgo the string ties, and stick to a suit where the straps connect with the neckline. These sturdier styles also allow for padding and underwire for even more support while still looking cute. Look for ruching or wrap details around your tummy to create more of a cinched waist, and a high-cut leg will elongate those fantastic legs of yours. A pear body shape carries most of her volume in her thighs, hips, and rear. The key to flattering your pear body type is to create balance between your lower and upper halves. 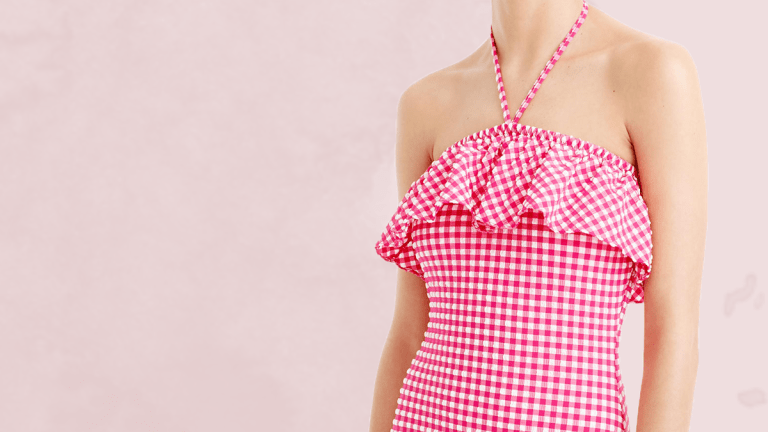 A great way to achieve this balance is to try color-blocked bathing suits, meaning a one-piece that has a solid color on the bottom (stopping at the waist) and a pattern on top. Horizontal stripes, flowers, polka dots, and abstract patterns on the top create the appearance of more volume on top, balancing the bottom. A rectangle or athletic body shape isn’t as curvy as the other body types because her hips, torso, and waist are close in measurements. Create the illusion of having more curves by emphasizing the subtle ones you already have with patterns, ruffles, and asymmetrical straps. 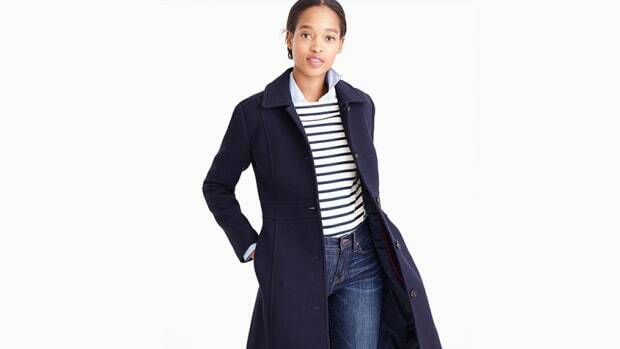 Horizontal stripes of varying widths and colors will create an optical illusion of varying widths along your torso. Ruffles around the bustline and ruching around the waist also add flattering volume. Don’t be afraid to try asymmetrical straps, as they will break up any boxiness, making for a curvier silhouette overall. A boy short style that cuts straight across the hips will also give the illusion of having wider hips. An hourglass body shape has hips and shoulders that are equal in measurement with a smaller waist. To flatter your hourglass body shape, the goal is to highlight your natural proportionality. For example, a waist-cinching belt or design will make your waist look even more defined while emphasizing the equal width of your top and lower halves. Cute skirted styles will also highlight your small waist while flattering your hips. If you need support in the bust area, make sure the cups of your suit have padding and underwire. Petite shapes are typically 5&apos;2" and under with a small frame. The silhouette of a sleek and sporty one-piece will create long lines and won’t overwhelm your shape. 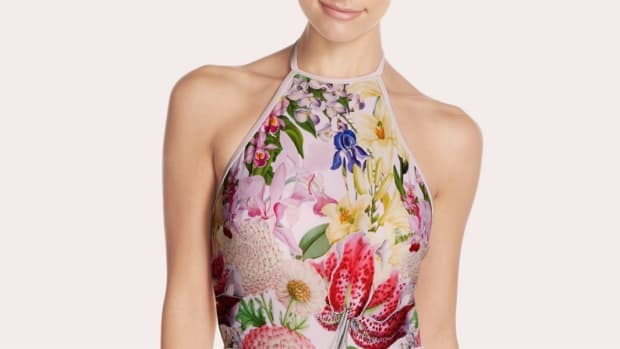 To really highlight the lines of the one-piece, try suits in solid colors, and avoid choppy graphic prints or busy patterns. 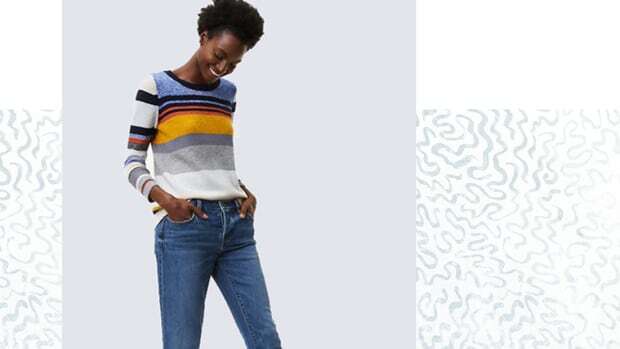 Consider trying vertical stripes that quite literally create long lines down your torso. Suits with high-cut legs will also elongate your legs.